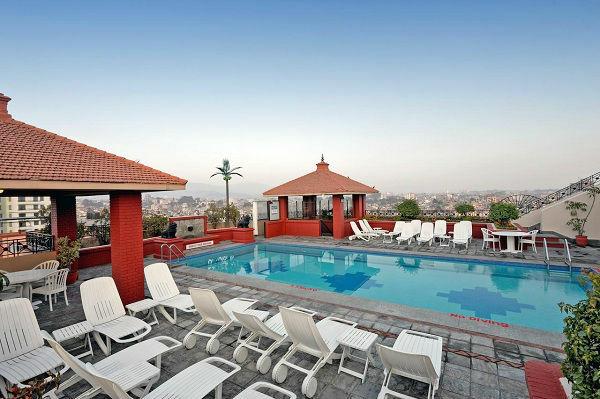 Looking for the best Hotel in Kathmandu Valley for the luxurious stay? Here is the list of 10 best Hotels available in Kathmandu to have the luxurious and comfortable stay. The best hotels in Kathmandu, listed by merokalam team, based on hotels status(star) customer’s review on the internet, quality of service, location, budget, and other facilities. The five-star hotel, Hyatt Regency, is situated near the UNESCO World Heritage site, Boudhanath Stupa, and very close to Tribhuwan International Airport. The hotel offers the world-class hospitality and is one of the best hotel located in Kathmandu Valley. Hyatt Regency hotel is set on 37 acres of land and offers highly facilitated 280 rooms including 8 suites. The hotel Hyatt Regency is designed in a traditional Newari style of Nepali culture. Hyatt Regency offers many facilities such as large space for events and programs, parking facilities, free WiFi facility to all the guest, swimming pools, helipad, museum, outdoor whirlpool, non-smoking rooms and business meeting rooms. It is also an ideal hotel for events like wedding and MICE events. The hotel is also one of the best Business hotels in the city. And offers highly equipped facilities and services for business travelers which makes it one of the best international five-star business hotel in Kathmandu. The hotel Hyatt Regency also offers the Club Oasis spa, fitness center, jogging track, health club, beauty salon, shops for the last minute shopping, laundry services, babysitting services, multilingual staff, airport transfer, tennis courts and venues for weddings and events. It is also one of the best hotels (booked) in the city. Hyatt Regency is the only Hyatt brand property managed by Global Hyatt Corporation under the Hyatt Regency Portfolio in Nepal. The Hotel Yak and Yeti, a five-star luxury hotel, is carrying a historical legacy of 100 years as the hotel is housed in heritage palace known as Lal Durbar (Red Palace). You can feel the antiquity and enjoy the original heritage interior. Most of the original interior of the old palace still has been lovingly maintained in the five-star luxurious hotel. The five-star luxury Hotel Yak and Yeti has fine work of beautiful artifacts, arts and carrying the legacy of traditional designs and crafts. Hotel Yak and Yeti is located in Durbar Marg, Kathmandu which is at the 15-minutes drive from Tribhuvan International Airport and Kathmandu City Centre. The Hotel Yak and Yeti offers 270 luxurious and comfortable rooms for its guests. It is well equipped with all facilities that a five star would provide like smoke detector in all rooms, safe locks, high-speed Internet facility, phone, tea and coffee making facility, LCD TV and a minibar. The Hotel Yak and Yeti offers the facilities of a swimming pool, a shopping arcade, tennis courts, fitness center, luxury spa, a comprehensive business center, exclusive executive floor and a club Shangri LA. There are plenty of dining options available and also a lively bar in the Hotel. The Luxurious hotel, the Hotel Yak, and Yeti offer the “Lal Durbar Convention Centre “, which makes it the all-time favorite destination for weddings and events. It is also a popular venue for conferences, meetings, exhibition, and incentives. The hotel also offers the customary laundry, sauna, banquet facility, babysitting, designated smoking area, casino, currency exchange, beauty services, jogging area, secure and free parking, etc. The luxurious hotel, the Dwarika’s Hotel, is one of the finest hotels located in Nepal. 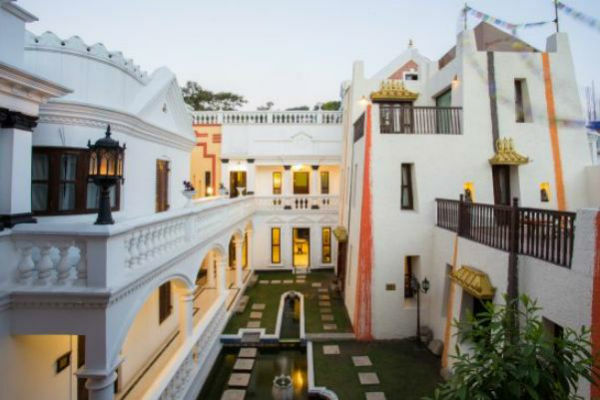 The Dwarika’s Hotel has won the Pacific Asia Travel Association (PATA) Heritage Award and has also won the UNESCO Asia Pacific Heritage Award for Cultural Heritage conservation. Dwarika’s Hotel has 87 rooms and is inspired by the rich art and artifacts of Kathmandu Valley. 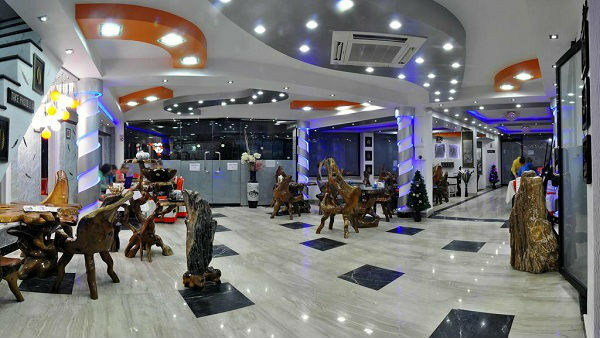 The Dwarika’s Hotel is a unique hotel which can also be described as a living museum and is run by the family of Dwarika Dash Shrestha, the man behind this unique hotel concept. It has also been a savior of Newari woodcrafts and architecture. This family-run five-star hotel which is modeled and designed as the palaces of Malla kings. The Dwarika’s Hotel is situated in Battisputali Road, Kathmandu and at 2 km away from Tribhuvan International Airport and 500 m from Pashupatinath Temple. Dwarika’s Hotel offers the facilities of air-conditioned rooms, non-smoking rooms, designated smoking area, TVs, free parking, free Wifi, outdoor pool, swimming pool, bar, restaurant, lockers, business center, banquets/meeting facilities and local and international drinks. It also offers the facilities of massage and spa and many other services like laundry, shuttle services, etc. The hotel is best rated for best facilities at best values than any other available in Kathmandu. 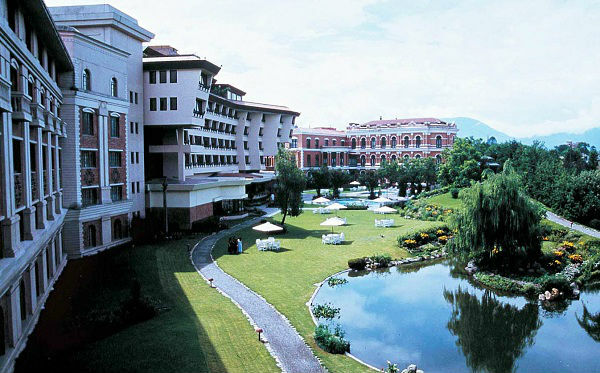 The Shangri-La Hotel, a well renowned five-star hotel in Kathmandu, is famous for the award-winning garden endeavor. The property is consist of 97 highly facilitated rooms which are famous for luxury and comfort. Each air-conditioned room has a good facility of multi-channel television, music, a personal safe, telephone, minibar, and heart pleasing decor. The hotel offers an outdoor swimming pool, a tennis court, a fitness center, free wifi and complimentary parking. It is 7 km away from Tribhuvan International Airport and 2 km from Thamel and Durbar Marg. The Shangri LA hotel also offers spa facilities, body massage, jacuzzi, secured parking, gym, airport shuttle, babysitting, casino, currency exchange, gift shops, shops, bridal suite, dry cleaning, sauna, bar, and restaurants. It is also famous for the garden cafeteria which will make your dining a lifetime experience in the overwhelming greenery that the hotel’s garden offers. The five-star deluxe hotel, the Crowne Plaza Hotel Soaltee, is one of the largest hotels in Nepal. 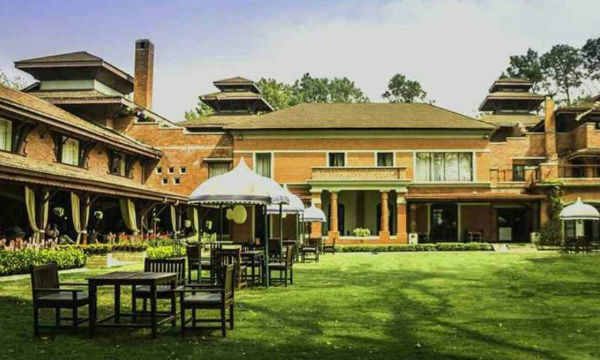 It is considered a legendary landmark in Kathmandu as the property is set in a full 11 acres of land. The hotel Soaltee offers the resort atmosphere which makes it suitable for both leisure and business travel. It is 6 km from Pashupatinath Temple and 8 km away from Tribhuwan International Airport. 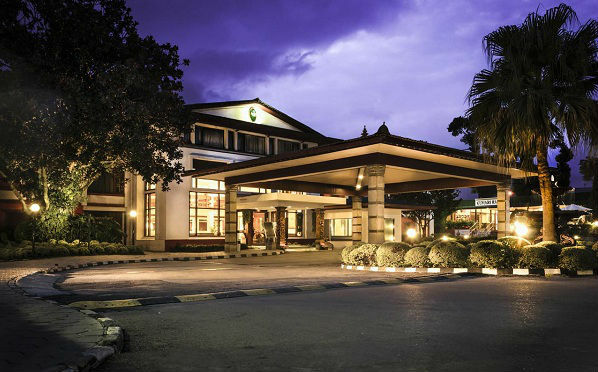 Crowne Plaza is situated in Tahachal, Kathmandu. Crowne Plaza Hotel ensures that the guests get maximum comfort possible. The hotel has 283 superior and deluxe rooms as well as non-smoking rooms, including Crowne Plaza clubs, 8 executive suites, and 7 regal suites. Air-conditioned rooms with attached bathrooms having TV, minibar, telephone, tea/coffee making facilities and internet facility is available in the rooms of Crowne Plaza Hotel. The Crowne Plaza Hotel – Hotel Soaltee also offers the services of laundry, outdoor BBQ, business centers, meeting room facilities, tour desk and serves international dishes and Italian, Hunan and Cantonese cuisines. Gokarna Forest Resort is situated inside the serene of Gokarna Protected Forest which was previously the private royal hunting ground of King of Nepal. The resort is set on 470 acres of land of ancient Gokarna Forest. And its architecture is a remarkable blend of Malla and Rana Period. The resort is about 10 km away from the Tribhuwan International Airport. Decorated in Nepali style with large windows and spacious room, Gokarna Forest resort has well-equipped rooms. Rooms have TV, tea/coffee making facilities, a minibar, and Internet facility. Gokarna Resort offers the facilities of a golf course, sauna, spa, health club, fitness center, Jacuzzi, massage, indoor pool, gym, tour desk and a business center. Other services and facilities that Gokarna Forest resort offers are horse riding, billiards, hiking, cycling, BBQ facility, bicycle on rent, swimming pool, currency exchange, babysitting, beauty shop, gift shops, shops, bar, restaurants and non-smoking rooms. It also offers banquet or meeting facilities, business center, VIP room facilities, safety deposit box, ATM cash machine on site and laundry. The hotel Annapurna is situated at 8 km away from Tribhuvan International Airport in 5.5 acres of property. Hotel Annapurna is just 500 m away from the Garden of Dreams. All 149 rooms are air-conditioned and with heating facilities and WiFi. Every room is well equipped. The room features a safe, flat screen TV, tea and coffee making facilities, minibar and telephone and attached bathroom. A 24-hour front desk, room service, laundry, luggage storage, meeting or banquet facilities, business centers and VIP room facilities are offered by the Hotel Annapurna. The Hotel Annapurna serves the delicious skewered meat from the Ghar-E-Kabab and Juneli Bars serves the alcoholic beverages. The hotel also offers currency exchange, ticket services, beauty shops, shops, soundproof rooms, designated smoking area, non-smoking rooms, seasonal outdoor pool, and a fitness center. 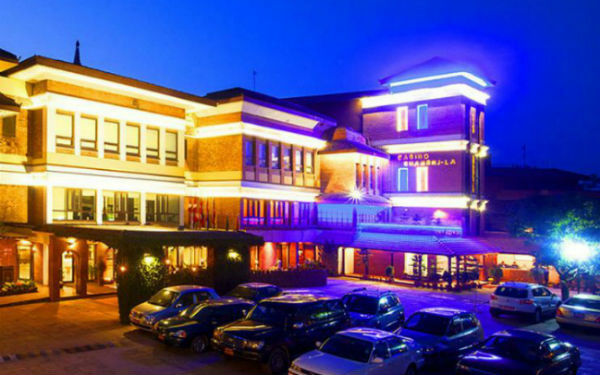 Hotel Annapurna offers 3 dining options and car rental service. 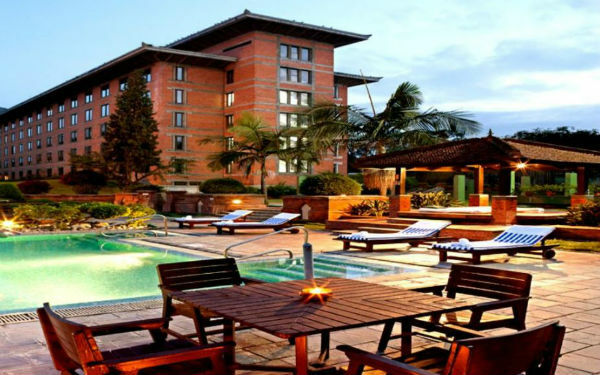 Radisson Hotel Kathmandu is a part of an international hotel chain, Radisson Hotel. 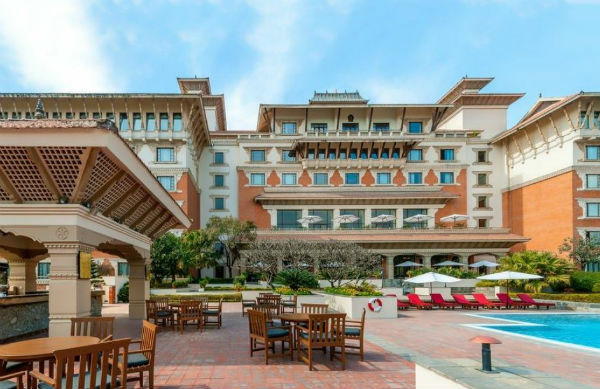 The Radisson Hotel is located in Lazimpat, Kathmandu which is 6.5 km away from Tribhuvan International Airport and 4.5 Km from Pashupatinath Temple. The Radisson Hotel offers the luxurious 260 rooms and suites which are highly equipped. All the rooms are air-conditioned and have free wifi facilities. These rooms are well equipped with cable TV with international channels, minibar, smoking and non-smoking rooms. It offers BBQ facilities, swimming pool, airport shuttle, airport pickup, tour desk, casino, spa, beauty shops and laundry. Radisson Hotel also offers meeting/banquet facilities, business center, sauna, fitness center, outdoor pool, health club and safety deposit box. The additional amenities and services that the Radisson Hotel includes are two restaurants, two bars, two cafes, a bakery, three meeting rooms, two ballrooms, two boardrooms, steam room, rooftop pool, tranquillity spa, hot tub and gift shop. Aria Boutique Hotel & Spa is situated along the quiet J.P. road in a 3-meter walk from the main street of Thamel. It is situated in a calm atmosphere yet still closer to Thamel’s bars, restaurants, and shops. The popular UNESCO World Heritage Sites Pashupatinath Temple and Boudhanath Stupa are 4.5 km away and Patan Durbar Square is 5.5 km away from the property. It offers the uniquely decorated air-conditioned rooms equipped with a satellite flat TV, personal safe, fridge, tea/coffee making facilities and equipped bathroom. Aria Boutique and Spa offers the services of free WiFi, the currency exchange, laundry, beauty services, spa facilities, sauna, massage, rental bicycle, airport shuttle, fitness facilities, parking and ticket services. The restaurant serves a variety of Italian, Indian and continental cuisines and also provides the 24-hour room service. It also offers a family room, bridal suite, gift shops, shop, soundproof rooms, meeting/banquet facility and ATM/cash machine on site. According to hotels.com, this is one of the best hotels(most booked for the medium budget’s customer). Baber Mahal Vilas, situated 4 km away from the Tribhuwan International Airport, is set in existing architectural haven of Baber Mahal Revisited. The property has mixed architectural heritage of Ranas, Newars, Mustang, and Terai cultures. Guests can feel the grand lifestyle of Rana in the Baber Mahal Vilas. The Baber Mahal Vilas also shares the neighborhood with the Singha Durbar and has rich historical significances. Baber Mahal Revisited is attached to the Baber Mahal Vilas and acts as an extension to it. The Baber Mahal Revisited offers the best quality products and traditional products in the shops that it hosts. It also provides one of the finest dining options in the Kathmandu valley. Baber Mahal Vilas features free WiFi, outdoor pool, free private parking. Each room is air-conditioned and has a flat-screen TV and attached bathroom. The hotel also offers a 24-hour front desk and car hire facility. It also features a spa center, sauna, massage, restaurant, bar, shops, ATM cash machine on site, safety deposit box, laundry and airport shuttle. The property is also popular and highly rated as the best price hotel compared to other in the city. Guests in Baber Mahal Vilas are getting more for their money. 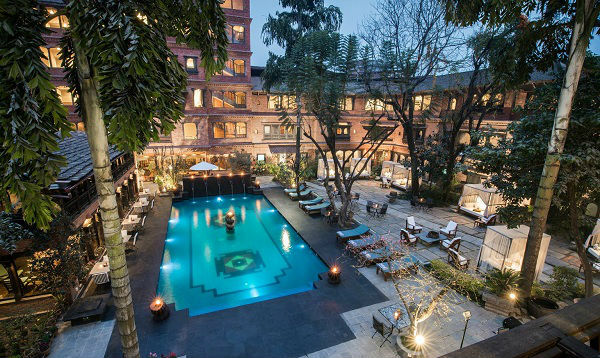 The 10 best hotels in Kathmandu, Nepal listed by our MeroaKalm team. If you have any concern or queries about this post [ best hotels ], please feel free to comment us.